Don’t let this decorative Butterfly pillow fly away! 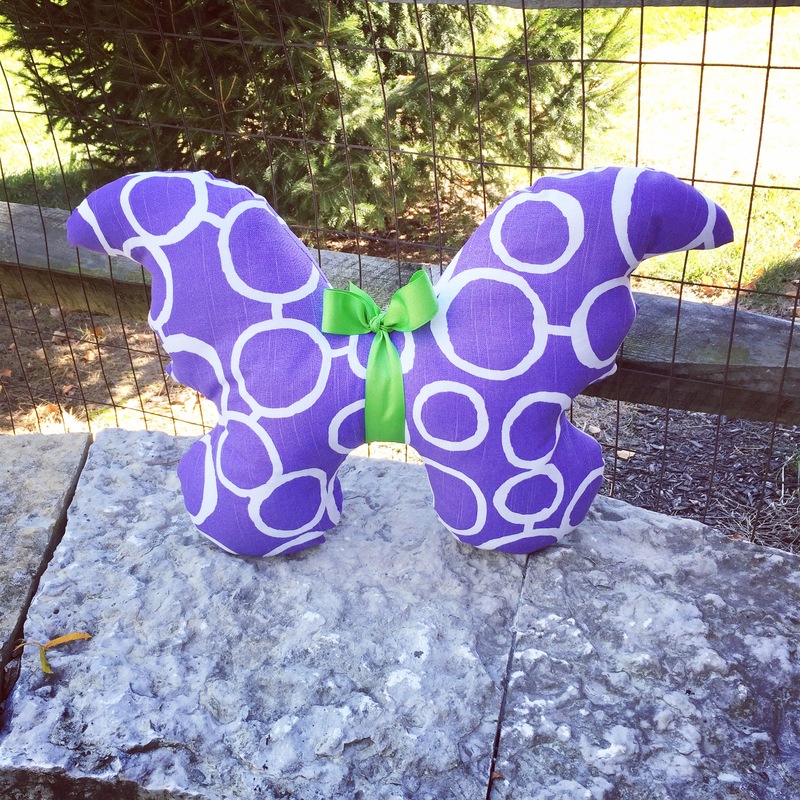 Made from medium weight cotton for durability and accented with a decorative ribbon for her body and antennae. This pillow would look great in a little girls room as well as an accent pillow in the living room.